William Hill Vegas have popped up with another exciting promotion this week. It’s called The Big Free Spins Drop! The promo kicked off on the 4th June but you still have a few days left to take advantage. Each day until the 10th June 2018 you can collect free spins! The number is random and you’ll only find out how many spins once you’ve logged in. To receive your free spins, head to William Hill Vegas and then open any Must Drop Jackpot slot. Note that you must opt in each day you want to play. Once opted-in you’ll be awarded a random number of spins. Players are rewarded with a minimum of 4 spins and a maximum of 10. 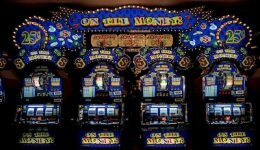 Any winnings from the Free Spins will automatically be credited to your cash balance from where you will be able to withdraw them as cash or wager them in non-Promotion play. The Free Spins can only be used on any Must Drop Jackpots game and the offer expires on 10th June. Another bonus offer that’s available to William Hill Vegas players this week is a buy-in with £5, play with £10 offer. This runs between the 6th and 9th June 2018. Opt-in to the promotion by selecting ‘buy-in’! Buy-in with £5 and be rewarded with a 100% bonus. Unlike the free spins from The Big Free Spins Drop this bonus comes with wagering terms. In short these are 30x wagering on bonus required and bonus expires 72 hours from issue. Game, player, currency, country restrictions & terms apply. Full terms and conditions can be found at William Hill Vegas. Finally, if you needed more reasons to give William Hill Vegas a spin then how about 30 free spins? 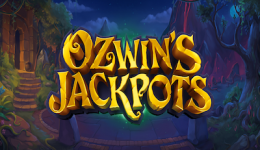 New players can register and opt-in to claim their free spins on Must Drop Jackpots only. 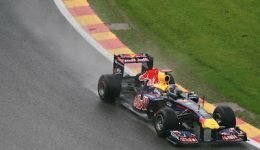 Wins from the spins come with no wagering terms. 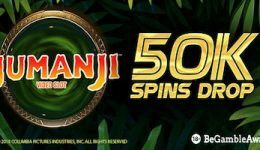 However, do note that the spins expire 3 days after claiming, Max 30 free spins, Max 10p per spin, Game, Player Restrictions & Full Terms Apply! Wagering terms and conditions apply. All details above were correct when published on June 7, 2018.